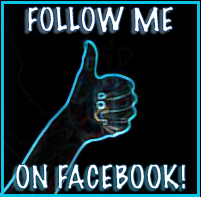 (Please click the images to see them bigger). You need a place to shop for your costume, then dress up and then party don’t you? 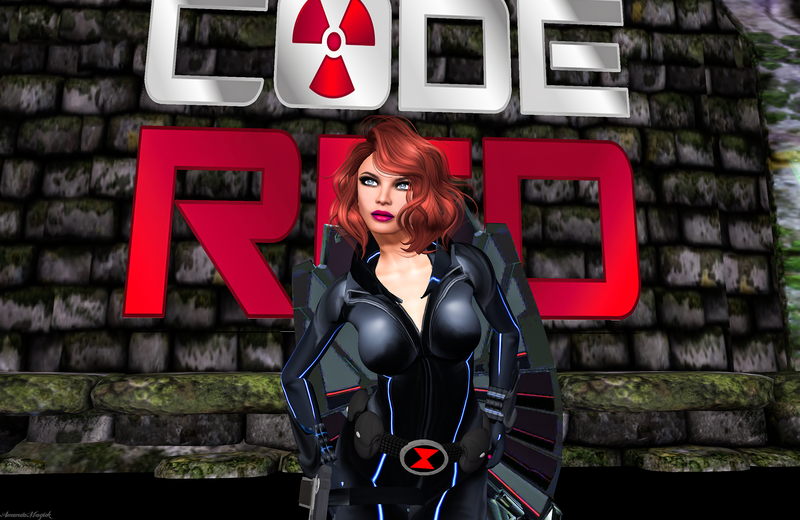 Ambrosia Entertainment Group’s CODE RED is the place. 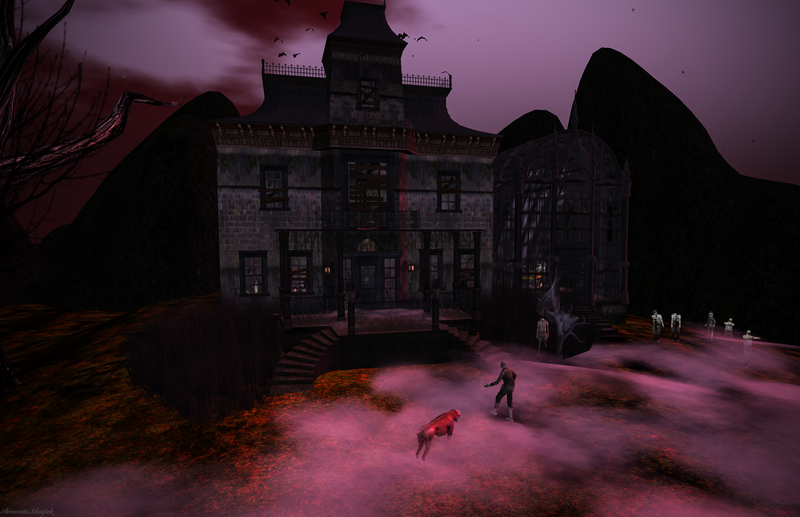 This is the place to let go and be a ghoul, goblin, or anything you can think of…. The DJs play what they want and you can be what you want, It’s a good time for all! The Haunted Mansion…. if you dare…. I didn’t do it!!! A bloody murderous vampire maiden you say? hmmmmmm. (this is my own costume but you can find anything you like). Lots of gatcha and shopping opportunities! Enough to find what you need to creep out anyone! PARTY TIME! Thank you so much to Angeline, Maya, Rhagina and DJ Pixee!!!!! 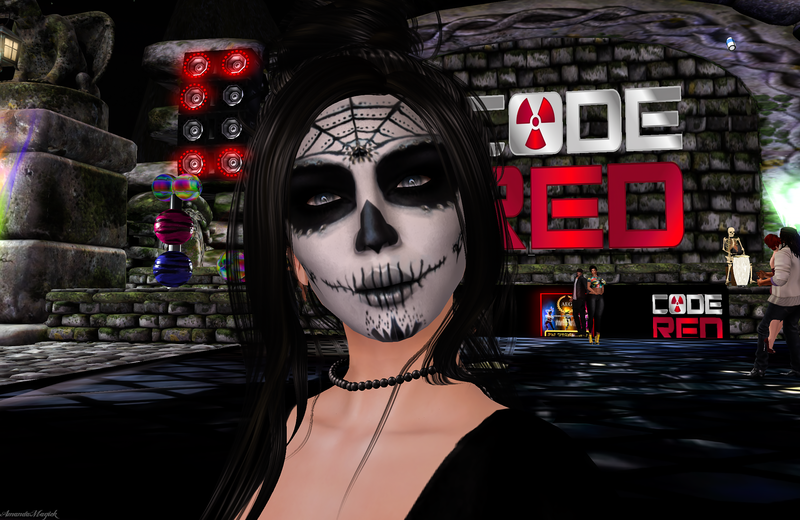 At Code Red you will find awesome DJs, Dancers and a creepy, devilishly good time!!! 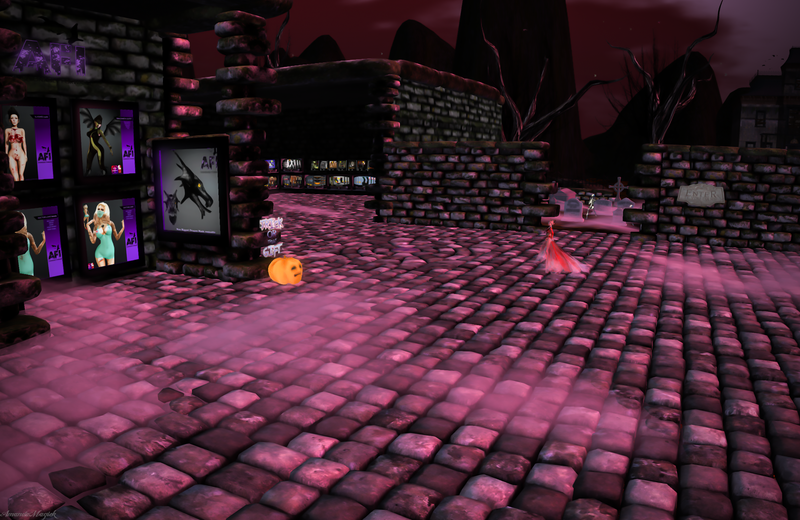 Also keep your eye open for the Creepy Crawl and Halloween Shopping Event! 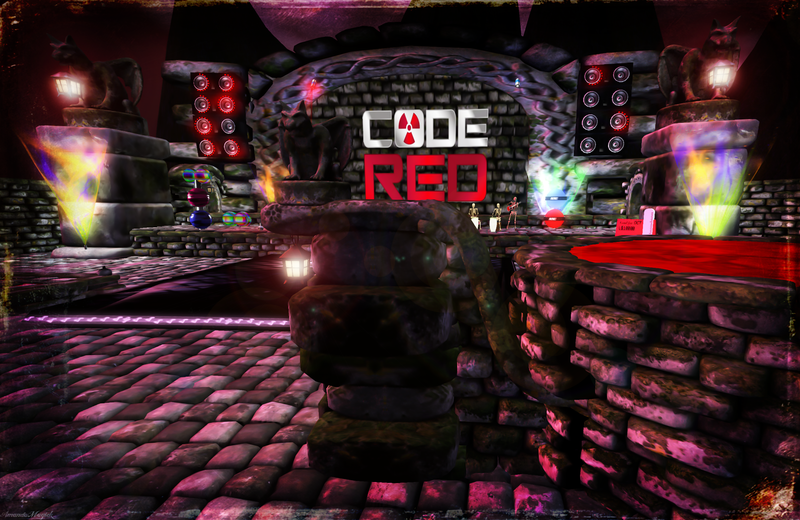 Bring your friends to CODE RED!!! AEG Website Check out the calendar for when you favorite DJs are playing.